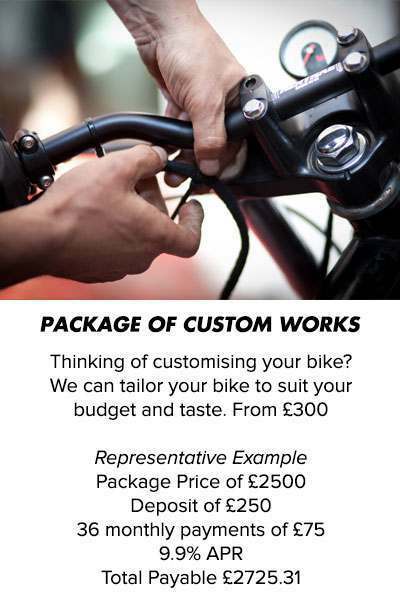 Thinking of undertaking works on your bike or buying one of our custom bikes? We're offering tailored financial packages from as low as 0% APR. 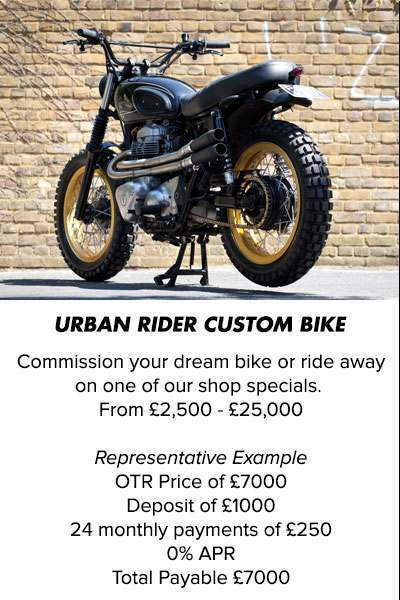 Owning a custom motorcycle has never been more affordable.